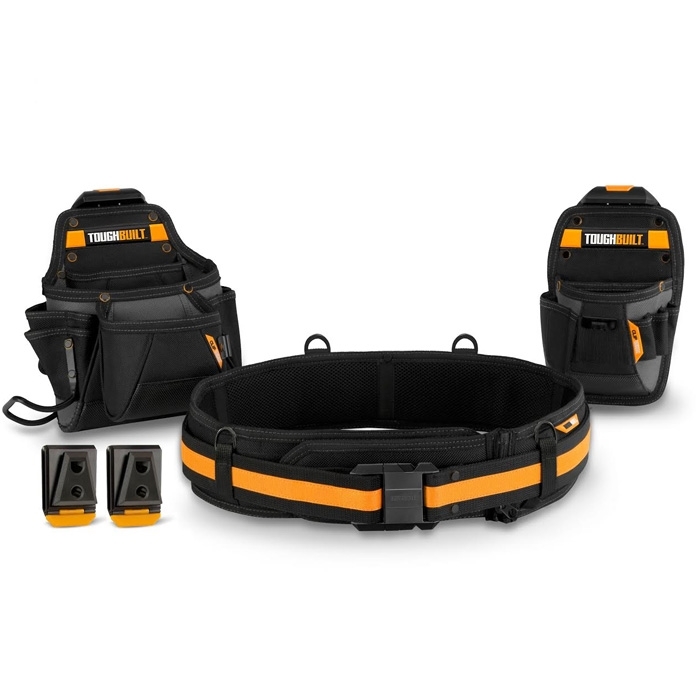 The ToughBuilt 3-piece Tradesman Tool Belt Set brings a new level of organization and efficiency to every project. The ClipTech innovation gives professionals the never-before option of effortless, adjustable, and interchangeable pouches to fit every job. Carry only what you need, when you need it. This set includes 2 rugged pouches and Padded Belt with heavy-duty buckle. Integrated kickstands allow your pouches and tools to stand on the floor or table next to you. Its 27 customized pockets and loops include 5 large-capacity pockets with No-Snag Hidden Seam construction, notebook pocket, extreme-duty hammer loop, and 2 tape measure clips. 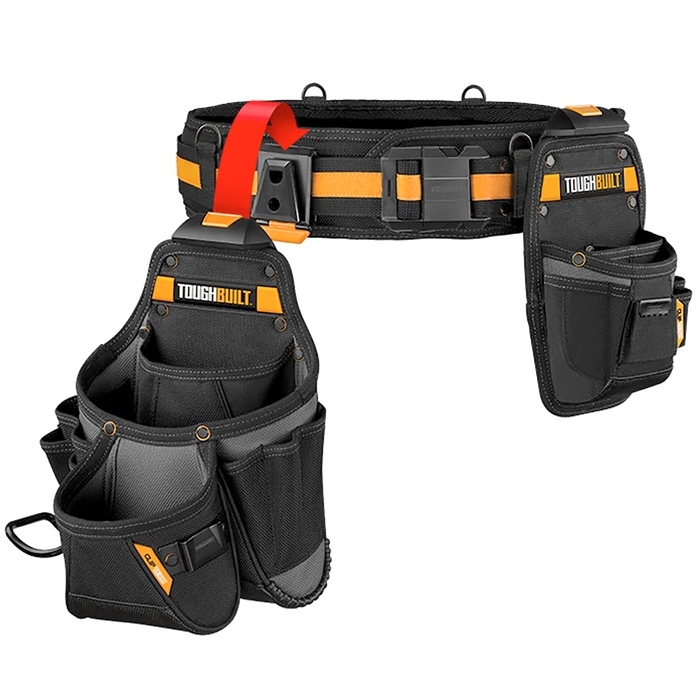 Made with rugged 6-Layer Construction and rivet reinforcement, this dependable tool belt withstands the harshest working conditions. Been using it for a few days now (the ground shipping only took two days). I love the quality and all features that come with this belt. It's comfy and seems to be very durable. I am a cable installer. I have been using the belt for about 3 days so far. It is comfortable, and the removable pouches are a great feature. So far no complaints solid product. Constructed well. I recommend the purchase of this item. Great tool belt. comfortable, love the detachable puches.